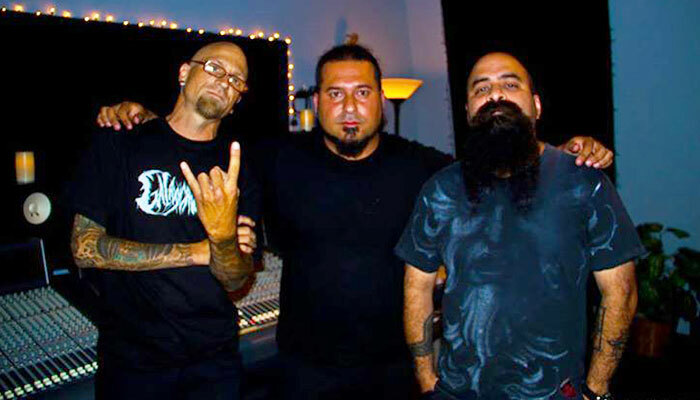 Metals gods “Black Oil” recently stopped by Pawnshop to add some bass tracks and vocals to their current release “Callate” featuring Tony Campos (Static X, Prong, Soulfly). We were stoked to have them track with us. (L-R) Mike Black, Addasi and Tony C. Stay tuned for more updates. !